The latest experiment in Minnesota's malls is underway at Ridgedale Center in Minnetonka, where they are creating and displaying art in the shopping complex alongside storefronts and food courts. 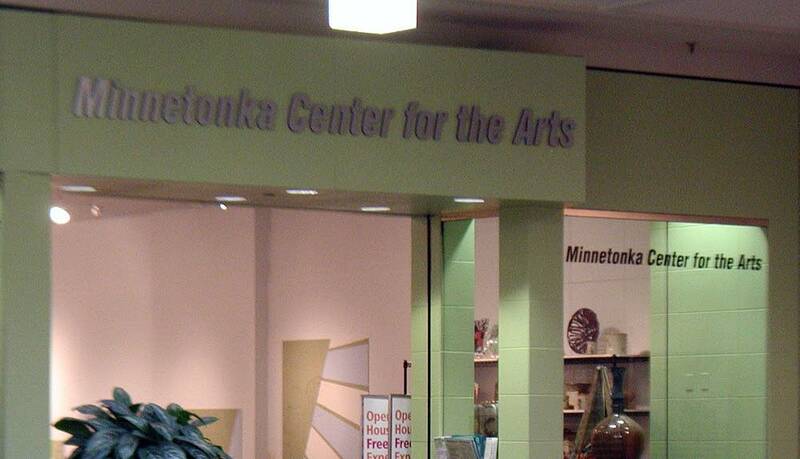 The Minnetonka Center for the Arts has become Ridgedale Center's newest tenant. The art center's satellite station is tucked into the northeastern corner of the mall. It has urns in the window, exuberant paintings on the walls, work tables and art supplies. It's right next to Sears, just down from Orange Julius, and about the size of a Radio Shack. You can look at this one of two ways: As an outrage, an abomination, a devastating loss for real culture in the war against fluorescent-lit, artificial air-infused, banal, soul-sucking consumer culture. Or, you can view it the way Minnetonka Center for the Arts Executive Director Roxanne Heaton does, as a victory -- for everyone. "To me this feels like the perfect kind of collaboration, because there is as much of a win in this for the mall as it is for us," Heaton said. Heaton credits Ridgedale Center's "forward thinking" owner, General Growth Properties, for the partnership. 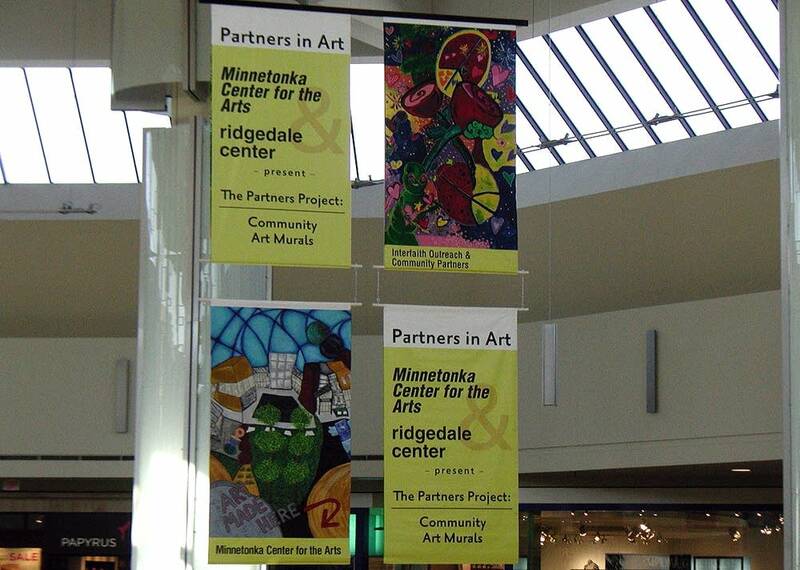 In the midst of a mall makeover, it invited the Minnetonka Center for the Arts to expand to Ridgedale. General Growth bet that by lending a more cultural atmosphere to the complex, it could become more of a community gathering spot. "And they thought we might be interested, as an opportunity to get some visibility for the art center and also our member artists," Heaton said. It's working out that way, according to Heaton. The art center's storefront has been turned into a drop-off center. 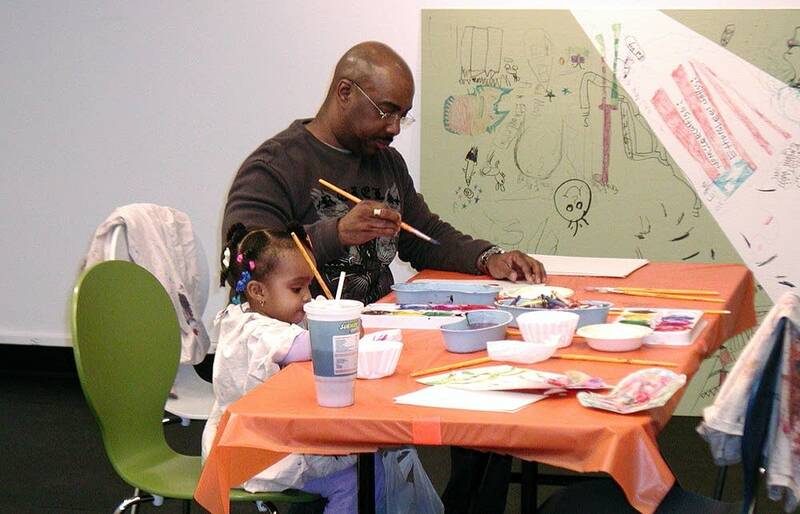 Parents pay up to $35 for up to three hours of supervised art activities for their kids. Eventually, Heaton hopes to offer adult art classes. In addition, area artists now have not only the art center's Ridgedale storefront, but locations all over the mall to show their work; quite a bit has already been sold. Heaton thinks the mall has benefited too. "How much more exciting to walk around these corridors, and see this kind of space with this kind of activity and this wonderful artwork and eye candy, than to be looking into an empty storefront or a barricade," she said. But, just to play devil's advocate, why should an art center dress up what some might call a bastion of vapid commercialism? 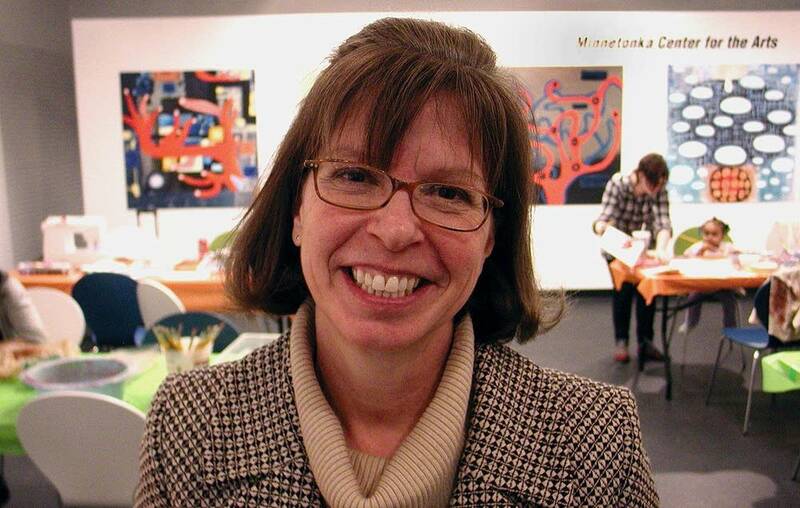 A devil's advocate might wonder if the Minnetonka Center for the Arts' principles are at stake here. "I just think that's really naive," Heaton said. 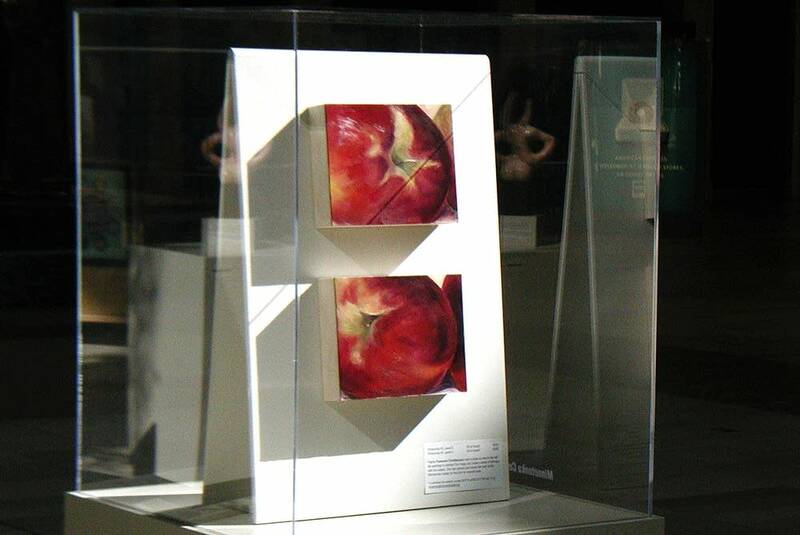 The main floor of the mall is dotted with several transparent, Lucite boxes called vitrines, displaying original paintings, drawings and sculpture. There's an enormous kiosk nearby, with information about the art center and its programs. Overhead, four strikingly colorful panels form a mural that hangs from the ceiling. People sit in cushioned chairs, surrounded by shopping bags and sumptuous art. "They're actually having kind of a museum-like experience in a shopping mall," said Heaton. "Pretty cool." Heaton isn't the only one who thinks it's cool. Darryl Patterson of Chaska has just stopped by the drop-off center with his daughter Cadara, who has her hands on a bottle of glue. Patterson is unemployed and visits Ridgedale once a week with his daughter while his wife works. He's really happy about the addition of the drop-off center. "It's wonderful," Patterson said. "It's great for the kids here; gives them a chance to mingle with each other, to interact on a different level besides playing." 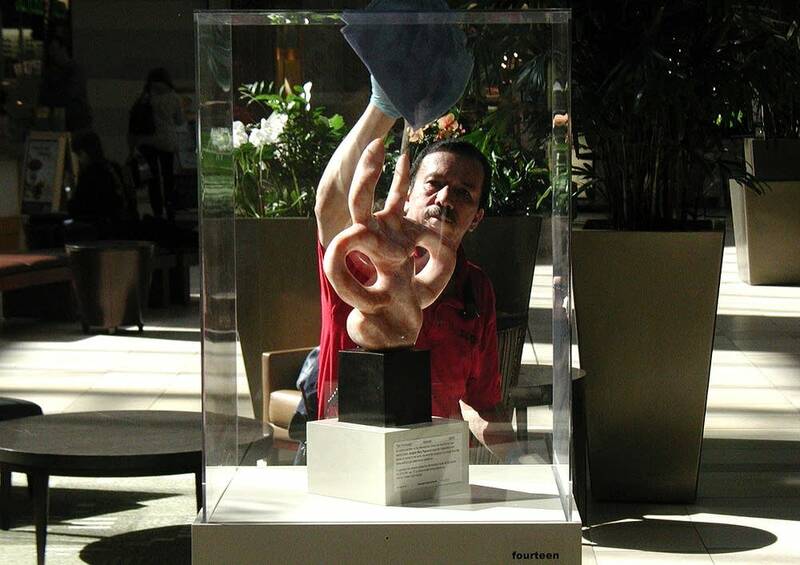 But a mall isn't for art. It's for shopping, right? "Why not?" asked Patterson. "We can do everything in here. I mean this is where everybody comes. We gather [here], it's almost like a community thing." Roxanne Heaton was actually clapping while Patterson said that. The mall location doesn't matter, said Leah Hughes, the Minnetonka Center for the Arts' director of youth programs, who laid down the final argument. "It's still the high-quality program," Hughes said. "It's still the fine artists that we have in the community. We're providing employment for them, we're providing exhibition opportunities in a quality way." It sounded like Hughes was telling the reporter to get over it. "I am telling you to get over it," Hughes said. OK, so will this marriage between an art center and a shopping center last? Ridgedale owner General Growth Properties does reserve the right to rent the drop-in space to an actual store if the economy picks up. But Roxanne Heaton hopes the Minnetonka Center for the Arts will, by that time, have become an indispensable part of the fabric of the Ridgedale Center Mall.